Xiangdun site was located 100 meters south of Xing Village at Chunjiang Town in Changzhou, Jiangsu. It is a prominent newly discovered archaeological site dating to Liangzhu Culture in the lower course zone of the Yangtze River. The site is belonged to the northwestern plain of Lake Tai with gentle gradient. The area of the site is around 55000 square meters with a gigantic round earthen mound in the centre, also known as Xiangdun, with approximately 4000 square meters. In June 2012, the Changzhou Archaeological Institute identified this site during the course of infrastructure construction. A rounded moat is located at the exterior of the site. The rounded moat is in square shape with 8-15 meters width. The site is about 200 meters east apart from the ancient Changzhou river course, the Laozaogang River, with which the rounded mound is connected. As no excavation has been conducted in the moat, the relationship between the moat and site is still uncertain. During the excavation, eleven ash pits, one stove, three sets post holes, two burned surface were identified. Except ash pits H1 and H11, fills of the other ash pits are clear without any deposit. H1 and H11 are regarded as remains dated from Neolithic to Spring and Autumn Period. H1 is located at the centre of the earthen platform whereas H11 is located in South of the earthen platform. 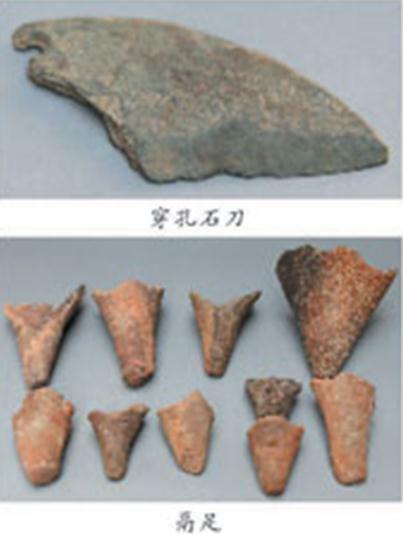 Artifacts including stone arrowhead, stone adze, bronze arrowhead and huge amount of hard pottery with stamped pattern and primitive porcelain. Amongst the artifacts, leg of a tripod and pottery tools for making stamped pattern share the characteristics of Maqiao Culture and Hushu Cultures. Twenty-eight postholes in three sets were identified in the test trench. The diameter of the posthole was around 35-75 cm with 30 -65 cm in depth. The fill contained huge amount of carbonated plant and pottery sherds were found in some postholes. Judging from the deposit and artifacts, the three sets postholes were belonged to the middle Liangzhu culture. Copious amount of carbonated plant were identified from the layers and fill of the postholes. These plants included bamboo, reed and etc., which were similar to the Miaoqian site at Yuhang in Zhejiang and the Shaoqingshan site at Kunshan in Jaingsu. A stove stand with burned reddish earth from Liangzhu culture was discovered in the test trenches. The entire stove stand was in slanting rectangular shape, which measured 186 cm in length from east to west, 65 cm in width from south to north and 15 cm high. The stove stand was formed by two stoves in near circular shape located in east and west. A stove pit was also found in the middle of the stove. The eastern stove pit was segmented by a reddish coarse pottery pot, and the bottom of the west stove pit and its surface were hard burned surface. A number of pottery sherds were exposed in the stove stand including polished black pottery and reddish coarse pottery without clear typology. One of the fragmented coarse pottery was a leg from a tripod in fish fin shape, which was similar to the tripod leg unearthed from Gaochengdun and its belonged to the early&middle Liangzhu culture. Based upon the stratigraphy and artifacts, the particular stove stand was remains from early&middle Liangzhu culture. Two traces of fire usage were identified in the test trench and they were separated 6 meters from south to north. For the feature of fired usage in the north, it was in circle with deposit of black charcoal with a diameter of 120 cm. The surrounding area was burned and in reddish brick color. The inner length of the test trench was 360 cm with 200 cm in width and the surface was hard. Due to the limitation of the excavation area, the burned surface has not been fully understood. The feature of fired usage in the south, the distance apart from the northern feature is around 2.8 m, which was a feature of circular black plant ash. No burned surface was found in the surrounding. Within the upper portion of the Liangzhu cultural layer, two small individual soil platforms were identified in the northern and southern side of the test trench. Platform in the north was constructed at once while four separate layers were identified in the south platform. They are presumably as altars but their function need to be clarified by archaeological works in the next phase. 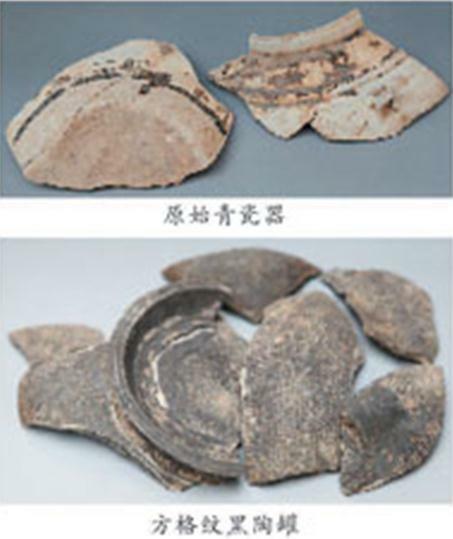 The discoveries of stove stand, post holes with various layers, the use of fire and soil platform further depicted that the early Xiangdun site was mainly a settlement of the Liangzhu culture. As the soil platform has been constructed and elevated continuously, the site might transform into a site with altar and ritual functions. This is the first time a stove stand from Liangzhu culture has been identified in Jiangsu. 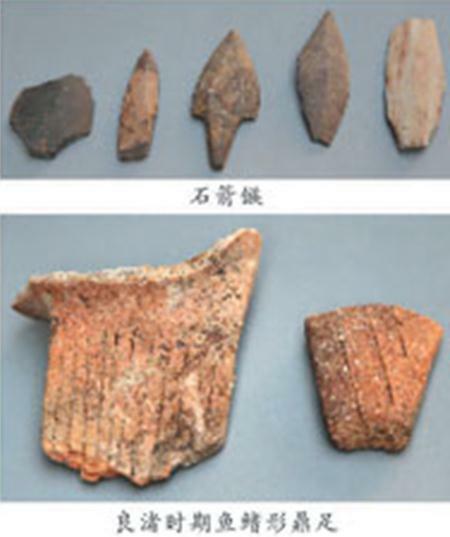 The Xiangdun site provided valuable material data for studying the culture of the lower course of the Yangtze River. The southern bank of Yangtze River, among the Jiangyin and Danyang section, site of Liangzhu culture is rarely seen. The characteristic of the Xiangdun site expounded that the settlers during the Liangzhu culture not only formulate a highly civilized settlement in the southern portion of Yangtze River, but also cultivate their civilization in the northern continent of the Yangtze River. Besides, this developed civilization has even spread to a distanced area known as the Xinyi Huating site.